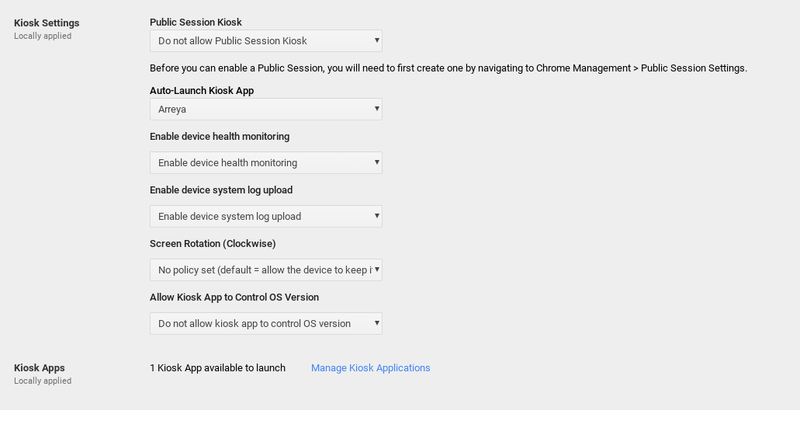 Setting up your OU (Organization Unit) is an important step to make sure your Chrome Devices will be properly configured for kiosk mode. 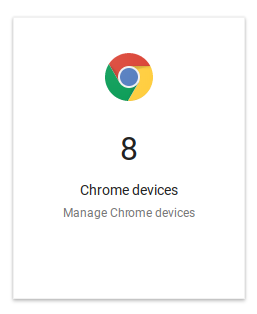 Using the dropdown menu in the upper right hand corner of the screen, navigate to the Chrome Kiosk device settings page. Select the OU (Organization Unit) on the left hand side of the screen that you wish to configure. 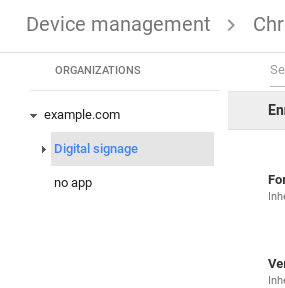 Only Chrome devices in this OU will have the settings applied. 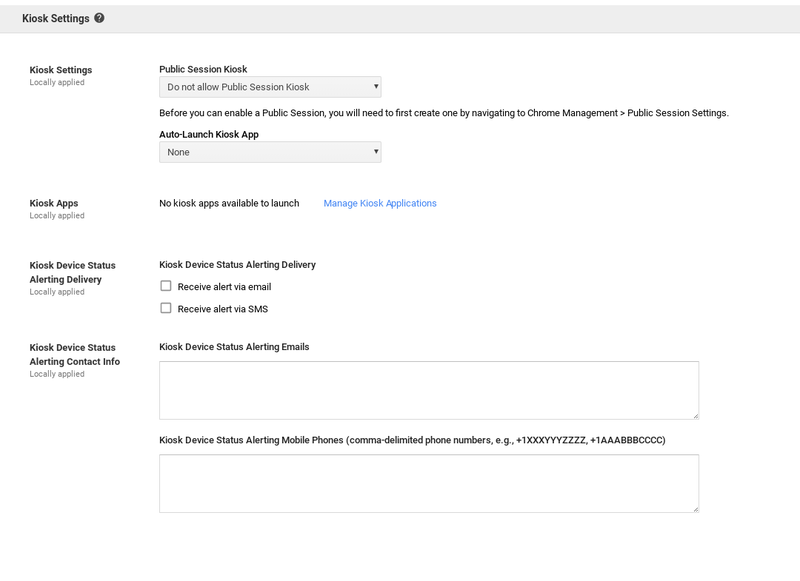 Click Manage Kiosk Applications next to the Kiosk Apps heading. 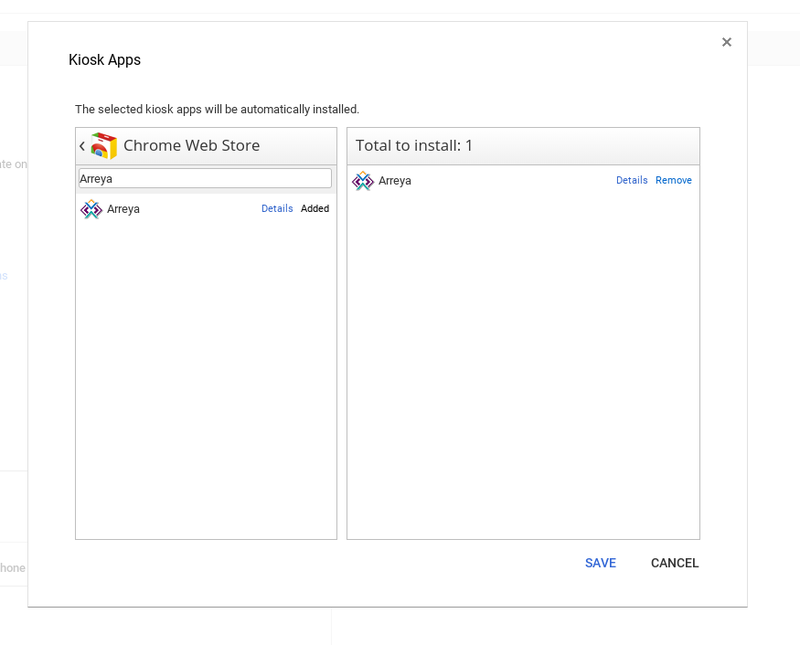 Click [Chrome Web Store] and type in “Arreya” followed by the Enter key to search for the Arreya app. Click Add next to the Arreya application in the search results. Click [Save] to exit out of this window. 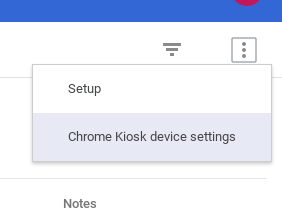 Under the Kiosk Settings heading click the dropdown box under Auto-Launch Kiosk App. Select “Arreya”. 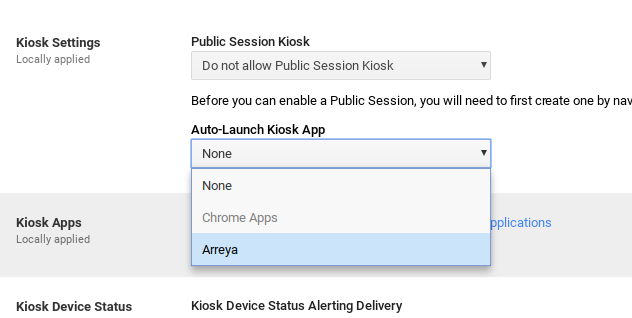 After the Arreya app is selected to Auto-Launch, it is recommended to enable device health monitoring. 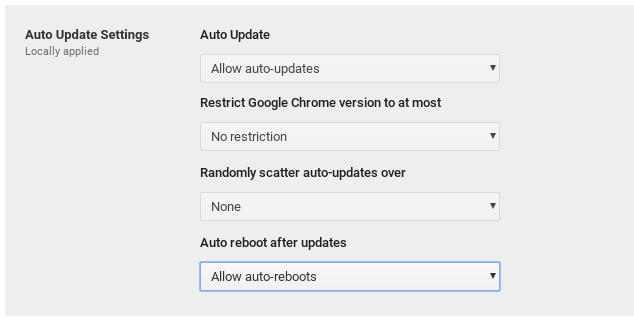 This will give you the online and offline status of the Chrome device in your Google Admin console. 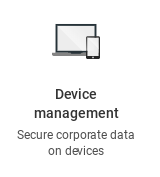 Enabling device system log upload is optional, which will upload device logs every day. Click [Save] in the bottom right corner to save your changes.